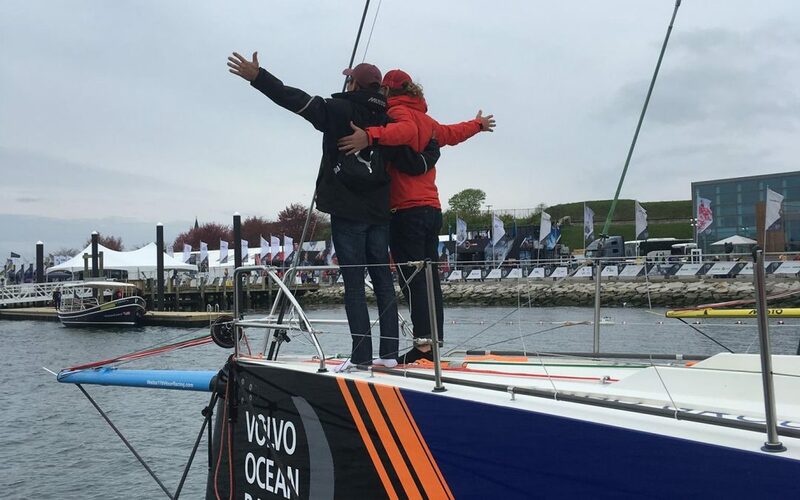 In May, 12 Warrior Sailors attended the Volvo Ocean Race Stopover in Newport, RI for 3 days of J-22 racing. For the first 2 days, representatives from sponsors, MetLife, sailed with the Warriors in some challenging races in unpredictable winds. On Day 3, each Warrior Sailing team welcomed a professional sailor from the Volvo Ocean Race to their boats. Bobby will return to local sailing clubs in Tom’s River where he teaches his kids to sail and will continue club racing and working on classic boats. Specials Thanks Met Life, Sail Newport and the Teams of the Volvo Ocean Race for an incredible sailing experience! The 2019 Robie Pierce One-Design Regatta Registration is Open! The USMMA Sailing Foundation, Inc. is a 501(c)3 public foundation. Its mission is to actively solicit the donation of vessels to be used in various maritime programs for education and training. Copyright 2017 USMMA Sailing Foundation, INC.